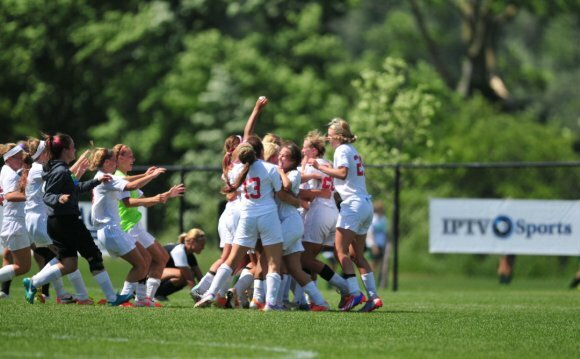 Iowa Public Television is proud is the home for Iowa Women Senior High School Sports Union Titles. The 2015 IGHSAU Iowa Farm Bureau Women Condition Soccer Titles in the James W. Cownie Soccer Park in Des Moines is going to be broadcast Survive state-wide Iowa Public Television. Teams from over the condition will compete for his or her particular class game titles. Throughout soccer coverage, IPTV will air exclusive highlights in the 2015 Women Condition Track &lifier Area Titles, that was locked in Des Moines May 21-23. Stay updated to IPTV through the relaxation of the season for live coverage from the condition titles for women softball and volleyball. Programming support for that 2015 IGHSAU Iowa Farm Bureau Women Condition Soccer Titles is supplied by: Farm Bureau, Musco Lighting, Fareway, Oneness Point and MidAmerican Energy.